From Rabindranath Tagore’s poetry to roshagulla—everything about the Bengali culture is fascinating. And, my love for Bengal grew multifold when I first visited the city during Dussehra (Durga Puja). That time of the year when the city is at its beautiful best, hustling in festive fervor and bursting with joy. The vintage vibe of the Victorian streets is taken over by gorgeous ladies wearing the quintessential ‘garad’—a white saree with a red pallav (pallu), red and white bangles, a red bindi, flowers, and jhumkis. It cannot get better, and the picturesque scenes are a feast for the eye. That inspired me to learn the traditional Bengali style of saree draping; bought home a saree for myself and returned with a lot of memories, a box full of roshagullas (and maybe a paunch, from all the sweet-hogging). 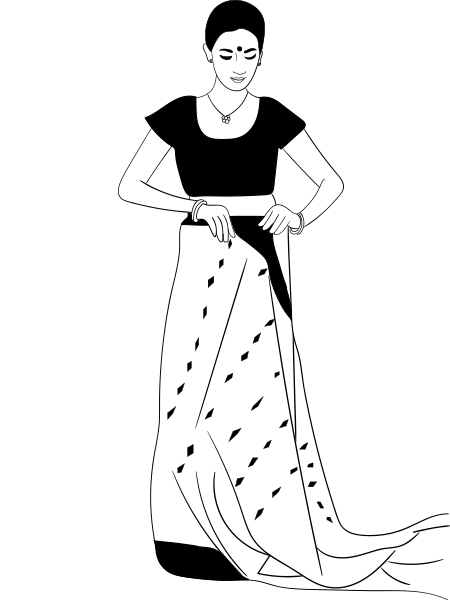 I decided to share the learning, and tell beginners that Bengali style saree draping is not that difficult after all. It is an easy 12-step process, and it’s fairly straightforward. Here’s how you do it. 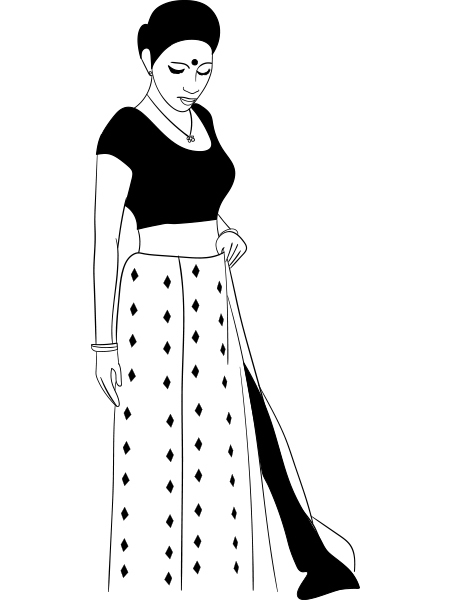 The basis for wearing saree in bengali style is similar to the regular (Nivi) style. 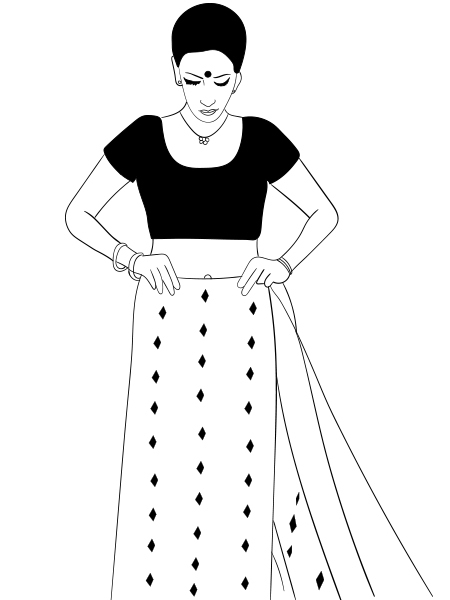 Start by tucking your saree a little over your navel, and towards the right side. Now, from the left side of your waist, continue tucking by taking it around the waist. Do it till you come back to the starting point. Now, begin to make broad pleats that start at the left side of your belly button and fold it in a way that it ends at the right leg. The length of pleats make a lot of difference to this style, so ensure that they level with the ground. 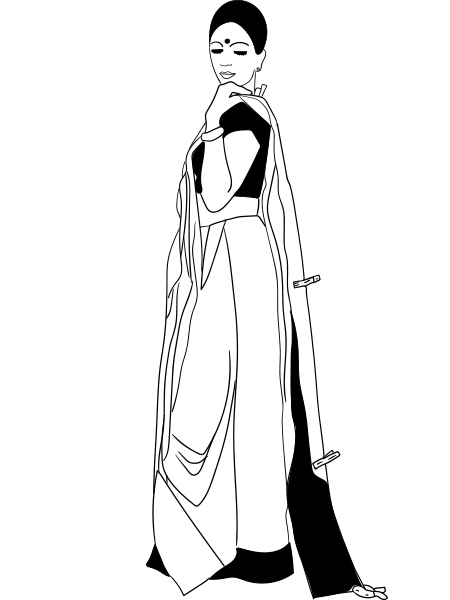 The pleats should look something like this, broad and box like. 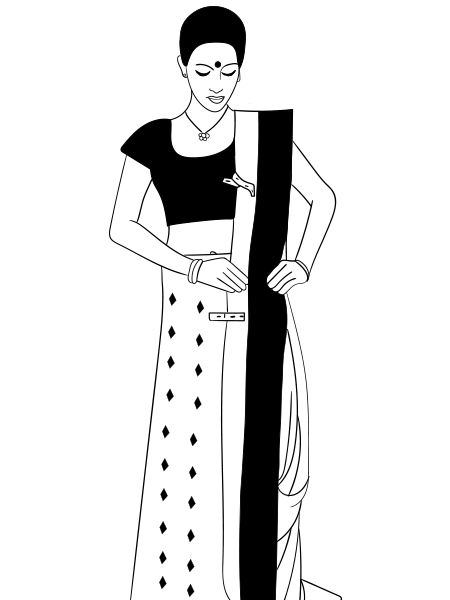 Unlike the other styles of saree draping, you do not need too many pleats. You just need two of them—so flatten them and tuck it away into the in-skirt. 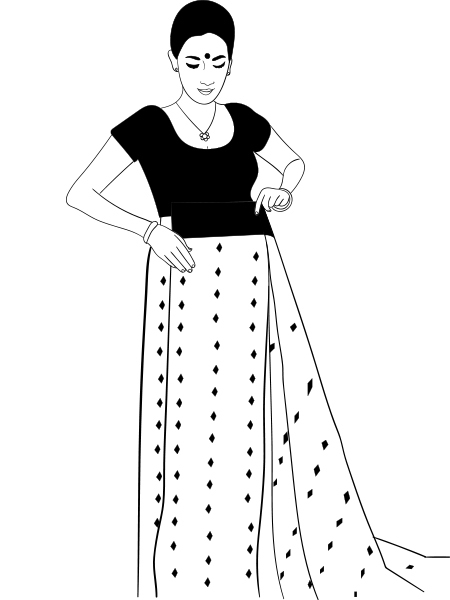 Now, bring the saree to the front of you towards the left side and start making thin pleats. 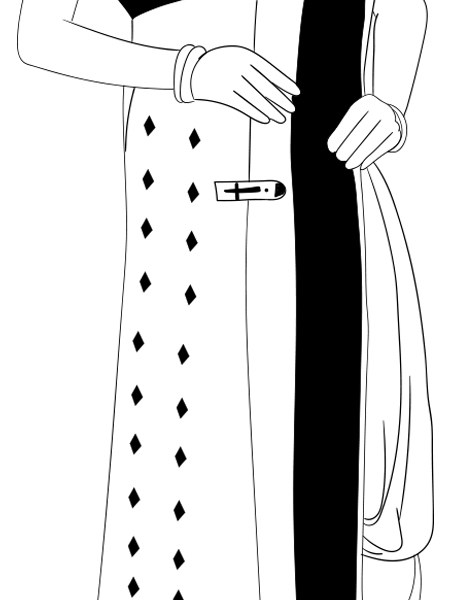 The size of the pleats should be about the size of the border. Now, leave the pallu free and ensure that the length of the saree touches the ground. If you are a beginner, clip up the pleats so that they stay intact. The pleats should be thin and intact as shown below. Once you have adjusted, remove the clips (if you used any) and bring right side border of the pleated pallu towards the right shoulder. Bring it all the way under your armhole and tuck it near the right side of your hip. 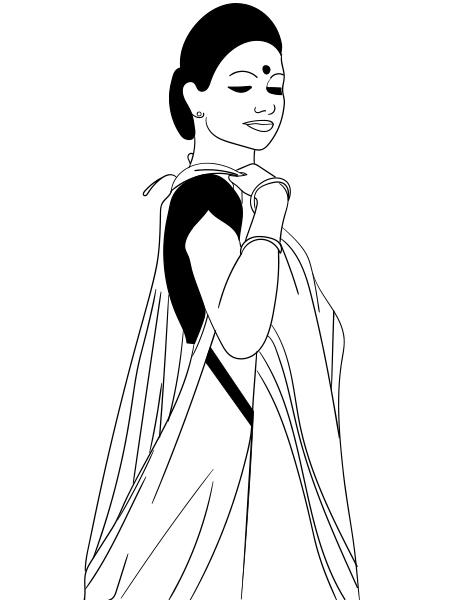 Now, take the tip of the pallu, nothing but the end of the saree and bring it to the front from under your right hand. Throw it over your right shoulder. You can add a tassel or fancy key ring for it pop out. Adjust your box pleats, pallu and any other protruding parts of the safe, and secure them with safety pins. Bam! You’re done! 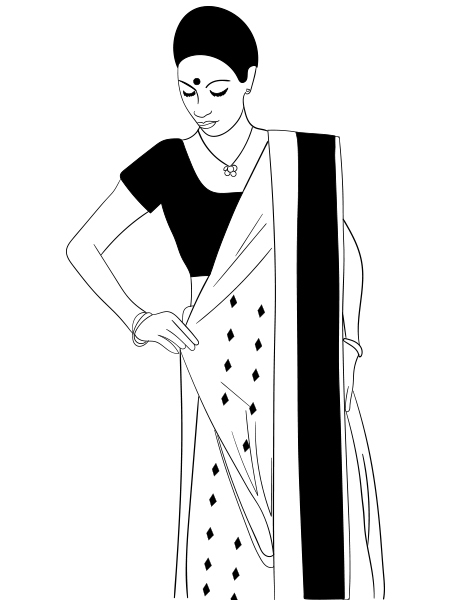 The saree that most of non-Bengalis relate to is the garad. It is a combination of off-white and red, or any other color with a striped border. 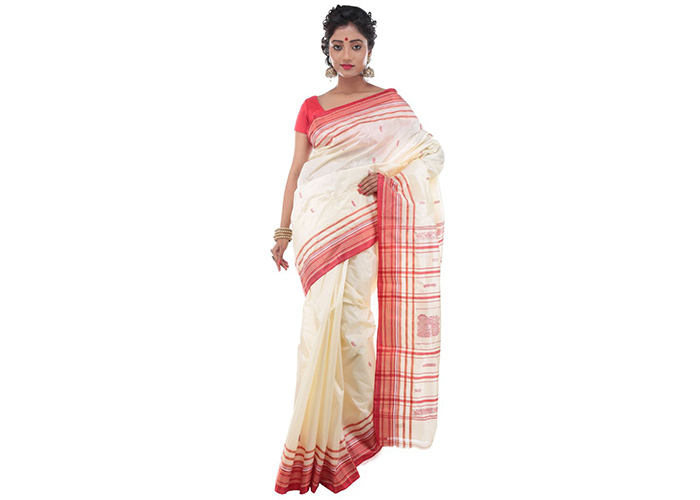 If you are looking for a typical Bengal saree, get the red and white saree. 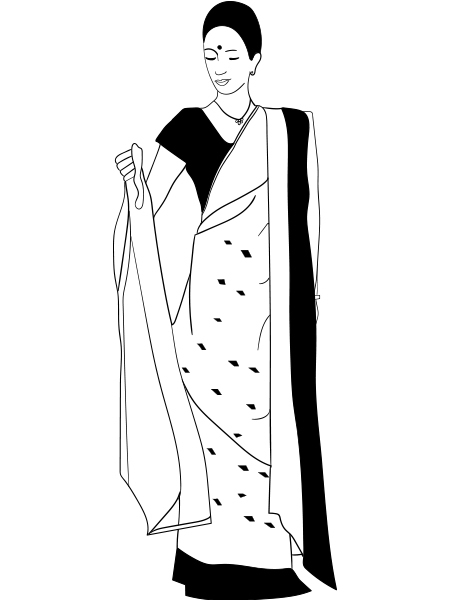 Tant sarees that come in both cotton and silk are all about the thick border and ornate pallu (pallav). 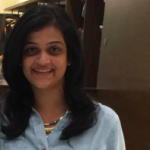 It is handwoven by artisans all over Bengal and is a low-cost variant, and is used as a daily wear saree. One of the finest muslin textiles that were initially made in Dhaka, Bangladesh made their way to what we now call West Bengal. The technique Jamdani is declared as an ‘Intangible Cultural Heritage Of Humanity’ by UNESCO. It’s airy, flimsy and comfortable. We all love this variety and heard of it at some point. It is classy, comfortable and elegant. Baluchari silk sarees are rich and opulent, and a variant that most women choose for a wedding or special occasions. They come with a thick and intricate silk border, weaving in ancient tales into them while oozing grandeur. Excuse me while I dance to ‘dola re dola’ and trying to be half as graceful as them or all Bengali women out there. 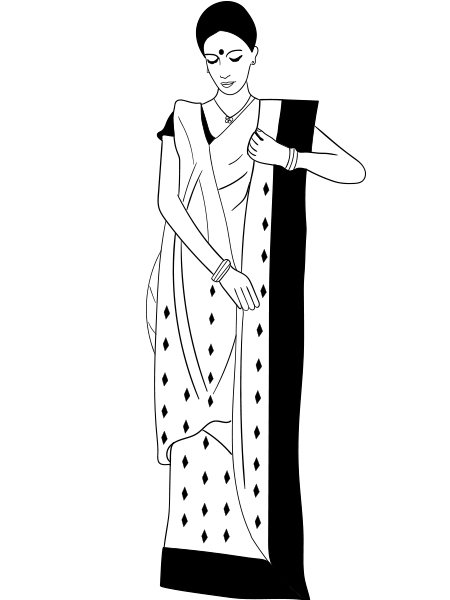 Now that you know how to drape saree in Bengali style, what are you waiting for? Try this out and let us know how it turned out! Have fun!